Responsive Menus version 7.x-1.3 is out! This was a big release worth mentioning. Most notable, the addition of Mean Menu style & Context module integration that has been living in -dev for weeks now. Added hook_responsive_menus_style_info() to declare new styles. name : Name displayed when choosing style. 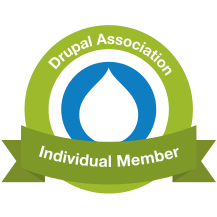 form : Drupal FAPI callback for admin form. js_folder : Folder to include any .js files from. css_folder : Folder to include any .css files from. js_files : Array of individual JS files to include. css_files : Array of individual CSS files to include. js_settings : Function to generate settings to pass to JS. Included style: 'responsive_menus_simple_style' now has option to configure text on toggler. Add option for simple style to use absolute positioning. Add responsive_menus.api.php to show easy plugin integration. Moved Simple style into new styles directory along with Mean Menu. Issue [#2059081] by pjcdawkins: Fixed AJAX calls sometimes duplicate the menu (Mean Menus). Remove console.log('Been clicked'); from Mean Menu's own js. Ability to have multiple rule sets defined (using context). Fix window.resize function bound more than once on ajax in simple style. Fix simple style's JS to handle multiple screen-width & absolute rules per iteration (context reaction). Slight performance optimization for 'simple' style. Handle even more legacy browsers with 'simple' style. Remove all other mouse events on menu. Remove other classes / ids (when responded). Quick-links for github in gmail! Drastik By Design is a full service, server administration, web application development, & online presence company.